Last night (November 21), thrash-metal legends Metallica completed their week-long residency on The Late Late Show with their final performance. The quartet powered through a heavy, crunchy performance of their Black Album highlight "Sad But True." Then, once the song was complete, James Hetfield let Ferguson try on his guitar. 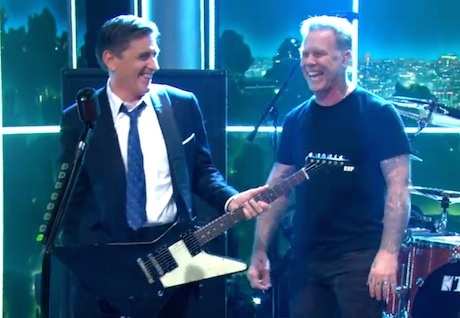 Watch Metallica perform on Craig Ferguson below.